Missouri, the “Show Me State,” is a wonderful place to call home, and the Kansas City suburb Lee’s Summit, is one of the state’s most highly regarded cities. Lee’s Summit boasts so many impressive amenities, its residents can’t help but enjoy living in this remarkable city. In fact, Lee’s Summit was recently ranked as one of Missouri’s “Top 10 Happiest Places.” Because of its excellent location in the Kansas City Metro area, Lee’s Summit residents can easily enjoy all of the top-notch dining and shopping, entertainment and recreation of the region. 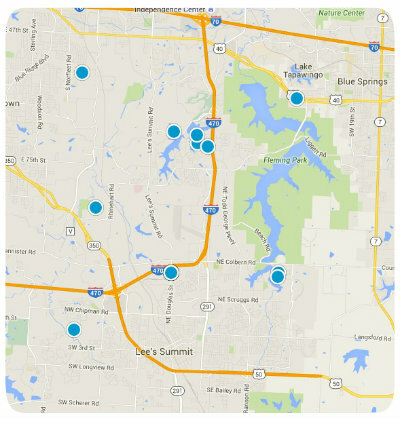 Within Lee’s Summit there are abundant real estate options found in its many diverse neighborhoods and subdivisions. One of its most noteworthy communities is that known as Cheddington. Cheddington boasts an ideal location in the city and residents enjoy close proximity to all that they need, including award-winning public schools, a wide range of dining options, banks, a hospital and more. The Cheddington Homeowners’ Association is located off of 291 and 150 Highway. The community boasts a clubhouse and a pool for members of the HOA. Students in Cheddington attend Trailridge Elementary or Hawthorn Hill Elementary and Summit Lakes Middle or Pleasant LEA Middle, and Lee’s Summit West High schools. Homes for sale in Cheddington vary in price depending upon the specific features of the property. The median listing price for a home in Cheddington is $218,000. If you would like more information regarding homes for sale in Cheddington of Lee’s Summit, Missouri, or if you would like to buy a home in another Lee’s Summit community, please do not hesitate to contact us today.